Interns part two! As members of our community, you want Coaches who will teach you, coach you, challenge you, respect you, understand you, appreciate you, and care about you. To help in this process, we now want you to get to know Hannah! Below is Hannah's essay as to why she wanted this intern opportunity. "Growing up, I have always been interested in athletics. I didn’t start playing sports until my 8th grade year of middle school when I was introduced to soccer, basketball, and volleyball by a very close friend. I was good at all three sports but none sparked a passion in me so I didn’t continue playing any of them in my high school years. When I was a freshmen in high school, I was convinced by one of my teachers to do track and field because of my ability to run fast. I then went on to do 3 years of track but I had to stop my senior year before of an ankle injury. Despite of that, I still had love for track and would still go to track meets to watch and support my team and fellow athletes. A year after I graduated high school, I felt that I wasn’t doing anything active and I was losing my athleticism. 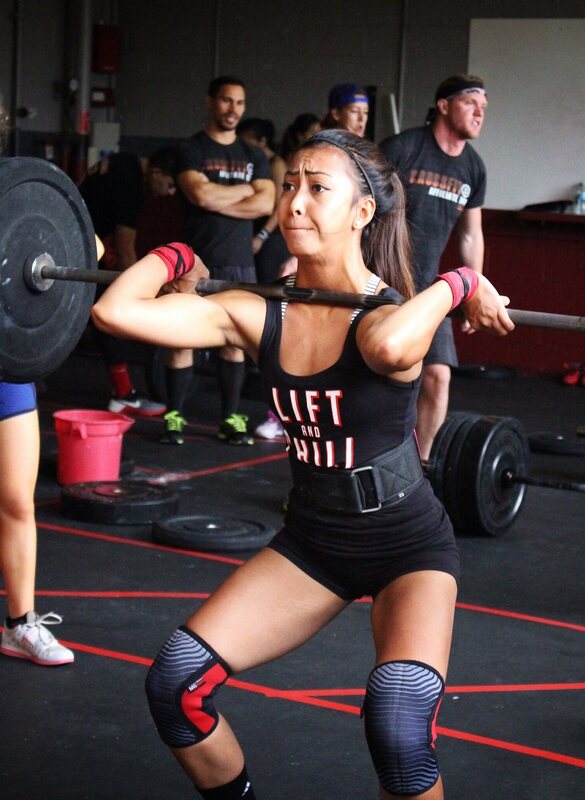 My boyfriend introduced me to Crossfit West Santa Cruz and Crossfit Watsonville where I saw athletes of different ages lifting heavy weights and doing movements I never thought I could do. I was inspired and I immediately wanted to join and try it. It’s been almost a year now that I’ve been doing Crossfit and throughout this time, I have improved tremendously as an athlete and developed passion for this sport. The best part of doing Crossfit for me, is the community behind it. Everyone motivates and helps each other, whether it’s to finish a WOD, set a new PR, or even with problems both inside and outside of the box. It’s amazing to be a part of the Crossfit community because I believe it has helped me grow as a person. With the time that I have invested doing Crossfit, it has made me love this sport so much that I would like to do it not only as a hobby but also make it my profession. I love spending hours at the gym trying to improve my techniques on my lifts and learning new skills and I would love the opportunity to share this with the community. It makes me happy to be able to help and give advice to new and current members in Crossfit who are struggling during the workout or need help with their lifts. I find joy in what I do, not only because I have improved so much from when I started but also, I have made so many friends from different Crossfit affiliates who are now really close to me that I consider them my family. To become a Crossfit coach would be a dream come true. I have always wanted to be a coach at some point of my life and I know this is the right path that I should take for my future. I would like to show my passion for Crossfit to everyone and be able teach everything I’ve learned and acquired from all the amazing coaches who have dedicated their time to teach me everything they know about Crossfit. One reason why I would like to be an intern at Crossfit Watsonville is because I believe that I can learn so much from the best coaches around. Being that I started my Crossfit journey in Crossfit Watsonville, I have grown to love the members because it is always fun to be around them and I have a great respect to each and everyone of them. I want to pursue coaching and make this my career at a young age. Although I am only 19 years old, I am very outgoing, a quick learner and have great work ethic. I am dedicated to everything that I do and doing Crossfit makes me happy and it is part of my lifestyle. It has made me a happier and stronger person physically and mentally and to be an intern or future coach at Crossfit Watsonville under the guidance and watchful eyes of Jason “Crossfit OG” Highbarger, would be the opportunity of a lifetime."